A spectacular science fiction disaster adventure, Armageddon is a thrilling battle between hardened men and a killer asteroid. The film quickly jettisons common sense for outright escapism, a trade-off that succeeds thanks to a breakneck pace and a committed cast. A large, Texas-sized asteroid is discovered on a planet-annihilating collision course with Earth. With the impact predicted to occur within 18 days, advance fragments of rock start pounding the planet, destroying portions of New York City. Dan Truman (Billy Bob Thornton) of the US National Aeronautics and Space Administration (NASA) is tasked with developing a strategy to save Earth, and settles on a plan to land a group of expert drillers on the asteroid as it passes near the moon, drill an 800 foot hole, and detonate a nuclear device deep within the rock's core. Truman turns to veteran oil rig driller Harry Stamper (Bruce Willis) to lead the team. Stamper agrees, as long as he can use his regular crew of ruffians, including AJ (Ben Affleck), Rockhound (Steve Buscemi), Chick (Will Patton), Bear (Michael Clarke Duncan) and Oscar (Owen Wilson). 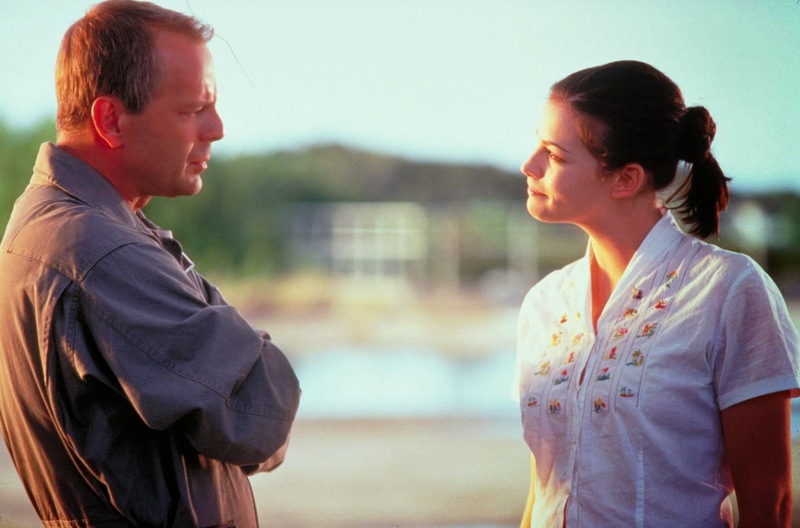 AJ is deeply in love with Stamper's daughter Grace (Liv Tyler), a relationship that Harry is not thrilled about. The men undergo intensive astronaut training and are then launched in two advanced space shuttles for a rendezvous with the killer asteroid, with limited time to fulfill their dangerous mission and save civilization. One of the noisiest and craziest science fiction films is also among the best all-action spectacles from the 1990s. Armageddon is a dizzying experience, with everything dialled to over-the-top, from the end-of-the-world premise to the ridiculous oil-riggers-in-space concept. Director Michael Bay crams in explosions, wildfires, wanton destruction and narrow escapes into every corner of the movie's 151 minutes, deploying frantic editing to portray the carnage and even contriving to transform a routine refuelling stop at the International Earth Station into fiery fiasco. Once the action switches to the asteroid, the screenplay by Jonathan Hensleigh and J. J. Abrams unleashes crash landings, canyon jumps, equipment failures, tragic team losses and groundquakes to add to episodes of space dementia and the ever-reliable secret military "Plan B" that threatens to jeopardize Stamper and his crew. There is not a moment that is not pressed into the service of endless thrills and death-defying escapades. And yet, somehow, Bay pulls it all together, away from camp and towards rampant entertainment. 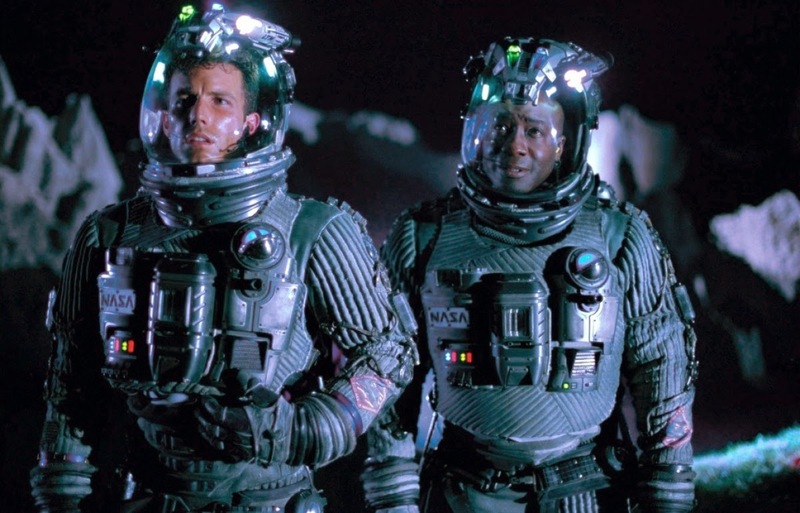 As the tension mounts and the asteroid hurtles towards Earth, a good streak of self-deprecating wit keeps the action grounded, and the character of the fiercely self-confident Harry Stamper is among Bruce Willlis' best screen creations, providing a phenomenal focus for the sprawling film, and a centre of gravity for the mission. His crew is efficiently coloured in with enough definition to create interest, with AJ as the surrogate son who wants to be a son-in-law, Rockhound a genius redneck, and Chick as the failed father regretting the life that passed him by. The likes of Aerosmith, Journey and Bon Jovi contribute to the thumping soundtrack. By the time Armageddon reaches its climax, with self-sacrifice to the fore and individual acts of ultimate valour required to save the planet, Bay is able to strip his epic down to the human level of a father, a daughter, and the necessity to break one small promise in order to fulfill a greater mission. Armageddon flies on the ludicrous edge of control, but it always hurtles in the right direction.